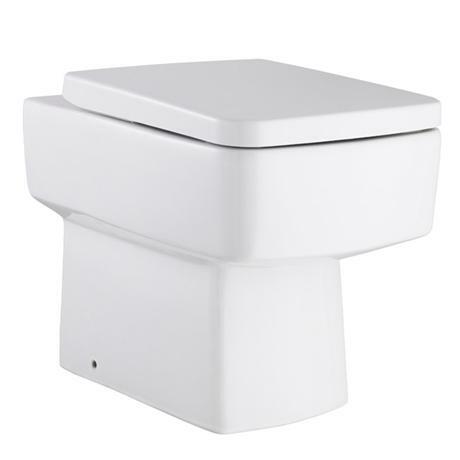 The Bliss back to wall pan is a modern squared design and comes complete with a choice of standard or soft close seat. The Bliss is designed and manufactured by leading bathroom brand Premier. This product is designed to be used with a concealed cistern either placed behind a wall or in a vanity unit. Arrived well packed and looked perfect. Found out after it was installed that there was a leak, but no visible crack etc. could be seen. Contacted Victorian Plumbing to explain problem. Problem resolved very quickly and new toilet replacement received. Still waiting for plumber to re-fit, but fingers crossed that this one is fine. Excellent service received. Recommended. When i purchased this i wasn't expecting the world but i was pleasantly suprised. I seems really well made certainly looks the part. I was also inpressed with the delivery service. It arrived two days afetr i ordered it and wasn't hard to fit at all. Brilliant buy.